Editor's note: This is the fifth in a series of “Mapping a Better World” posts, highlighting organizations using location data to affect positive local and global change. 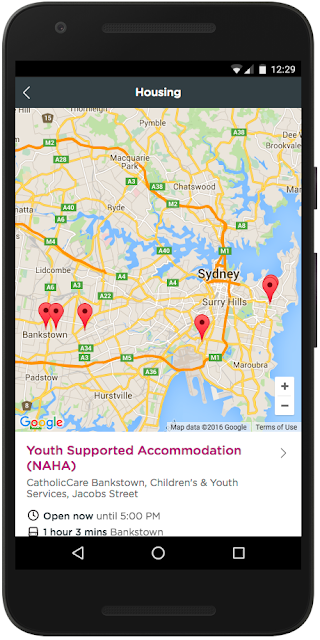 Today’s guest post comes from Diana Brown, Product Manager at Infoxchange, creators of Ask Izzy, a mobile app for Australia’s homeless that connects them with shelter, food and other essential services. The company was founded in a Melbourne garage in 1989. No one expects to become homeless. For those that do, knowing where to find resources like water, shelter and medical supplies — resources we can’t live without but can take for granted when we have a roof over our head — can be a daily struggle. Prime Minister Malcolm Turnbull and his wife Lucy Turnbull speak with a former homeless man who helped consult on Ask Izzy. 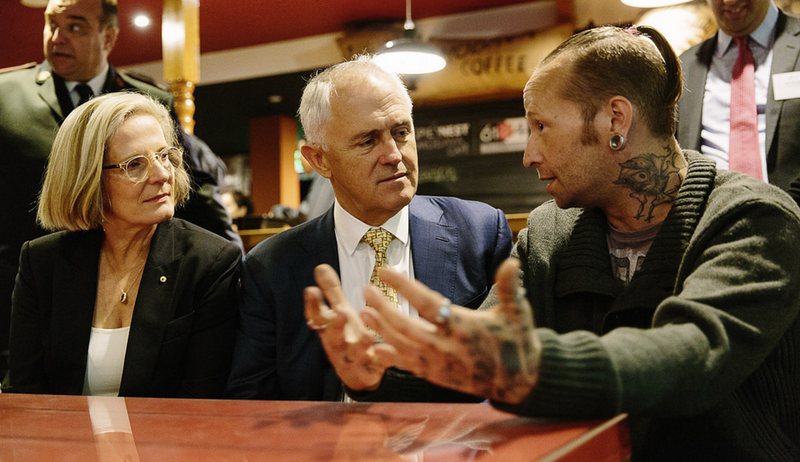 In Australia, 1 in 200 people are homeless, but 80 percent of them have a smartphone. We realized that these smartphones could act as lifeline to basic resources, providing real-time information about nearby services, including services that offer food and shelter. That’s how we came up with the idea for the Ask Izzy app. With the help of Google Maps APIs, Ask Izzy gives homeless people information about over 350,000 vital nearby services such as shelter, food, needle exchanges, employment resources, technology facilities like Wi-Fi and charging stations, legal and financial advice. The Places API allows us to suggest specific destinations and services based on a user's current location. We can tell a user how far away various services are with the Distance Matrix API and provide transit options with the Directions API. We work closely with those who have overcome homelessness to understand the specific needs of the homeless population and provide the best access to resources. We also collaborate with the service providers who help meet these specific needs. None of the benefits provided by Ask Izzy would be possible without our partners, whose cutting-edge technology we depend on every day. We’re thrilled to call Google a partner and we look forward to growing our working relationship and doing more to address the needs of our users.